Sudden dismissal of a valued member of the team. Secrecy and intrigue. Power being wielded in a manner some would consider despotic. Questioning of authority. Hidden documents that never see the light of day. No, this is not an outline of a season of Downton Abbey, but a recap of events at the YMCA of Northern Rock County in Janesville, WI. (NPQ readers may remember our report of just over a year ago on this same organization appearing on the cover of the local paper for possibly overpaying the CEO.) As we go through this story, there are a number of very good governance lessons that can be learned. In a new report on the Janesville Gazette’s GazetteXtra.com site, it appears that people are questioning the dismissal of three board directors and the complete lack of transparency on the part of the CEO, Tom Den Boer, and the board president at the time, Jason Engledow. There is no indication on the website who is the current president of the board, although the Gazette suggests it is no longer Engledow. Larry Squire, Dan Honold, and Jeff LaBrozzi were all told within a matter of a few months that their positions as Board directors were being terminated. Honold has levelled some fairly serious accusations against Engledow and Den Boer in the Gazette piece. For one, he suggests that Engledow was allowed to have his bank bid on and was later awarded the refinancing of a $1.2 million loan for the YMCA. According to his version of the story, when he heard that Engledow’s bank had made a bid, Honold, also a banker, asked if his bank could make a bid, which they did. Honold also accuses Den Boer of taking Honold’s bank’s bid to Engledow, allowing him to adjust the interest to a lower point. This is where it gets really confusing. According to Honold, Den Boer brought to the Board a decision by the three-person finance committee to accept Engledow’s bank’s proposal. The vote was two-to-one in favor: Honold voted against, Engledow voted in favor, and the third person, unnamed in the article, had a vote recorded in favor. It may be a matter of terminology, but it sounds from the report that the committee “approved” the refinancing offer, which only the board can do and so is one of many things that are wrong with this process. If accurate, the process described goes against the organization’s bylaws that were provided to and posted by the Gazette. Both Honold and Engledow are clearly in a position of having financial interest according to Article XIV Section 2 which defines a process when the organization is about to enter into a transaction that might financially benefit and officer or director. In this case, it should have gone to the board where any party with such an interest would reveal it, and then leave the meeting while it is determined if this financial interest represents a conflict of interest. Both men were in the room to vote at committee, so the next question whether if the minutes reveal they were not present for the board’s vote to approve, if there was one. The only problem there is that the board and Den Boer refuse to supply the minutes in question. After the refinancing issue, Honold received a letter from Den Boer saying that his board position was terminated. When he argued that it was not the CEO’s position to make that decision, an email arrived from Engledow with the same wording. Hearing about Honold’s dismissal, LaBrozzi questioned how that had been done. At a board meeting he asked that all directors be given a copy of the organization’s bylaws, which were not provided. A few weeks later he was told in an email that his position on the board had been terminated. Now, there are calls for a meeting with the organization’s leadership to have this matter explained. According to Wisconsin state statutes, board directors can be removed without cause, so no explanation is required. 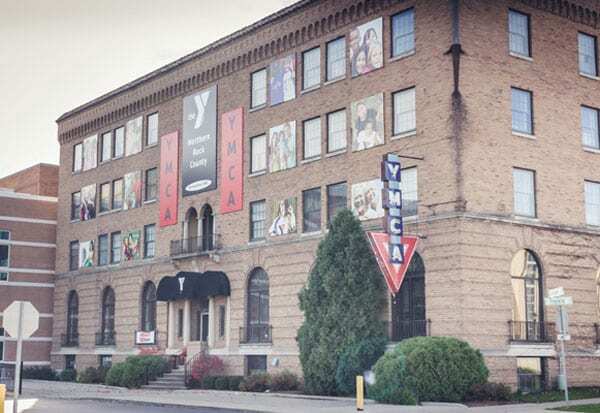 However, the statutes and the YMCA’s own bylaws state that removal can only be done by vote of the board of directors at a duly organized meeting. In addition, the announcement of that meeting has to indicate that the issue of removal is on the agenda. The board president does not have the power to unilaterally dismiss a sitting director of the board. Once again, this cannot be clarified until the minutes have been released, but LaBrozzi’s experience is that in Honold’s case, at least, no such vote was called.